Thanks to Oklahoma’s direct access laws, if a patient is suffering from musculoskeletal pain and wants to make an appointment with a physical therapist, they generally can now go straight to a PT. If any of this sounds revolutionary to you, we’re sorry. We know that physical therapy is the best first line of defense against musculoskeletal pain*, but we’ve done a poor job of shouting it from the rooftops. So we’re making a change. Today, we’re unveiling a new campaign that’s making it easier than ever for you to schedule with us. 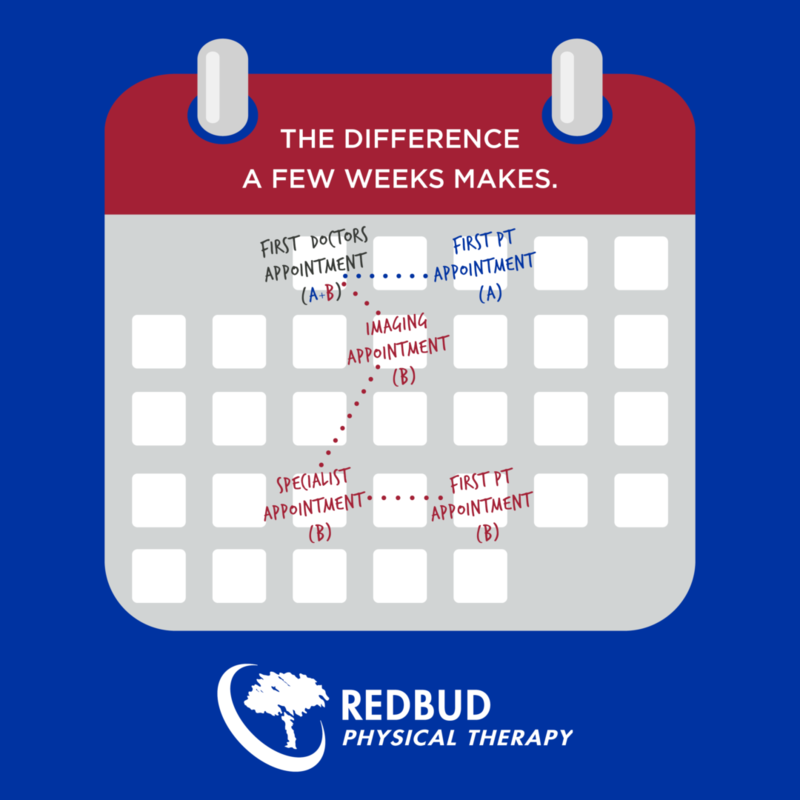 We’re calling it Redbud PT NOW, because getting in NOW gets you better, faster and saves you a whole lot of money. We’ve put ALL the convenient ways to contact us in one place, so if you’re feeling an ache, pain, or strain, simply click here to get started. Got a friend or family member you think could benefit from getting in ASAP? 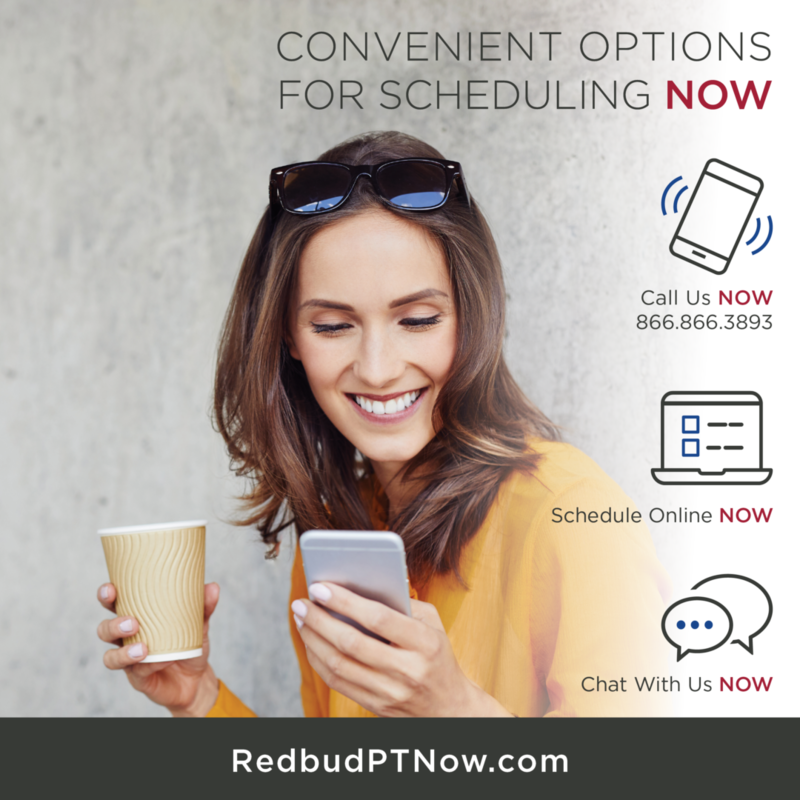 Tell them to visit RedbudPTNow.com!